The main argument against the supposed dangers of aspartame is that I’m alive and healthy enough to write about them. The artificial sweetener was the target of one of the Internet’s first wide-ranging smear campaigns, and has since been linked to serious disease and even death. Given the number of diet sodas I drank from ages 25 to 45, I should be either be dead or writhing in agony wishing I was. The 1998 e-mail was forwarded millions of times and, despite being almost completely inaccurate, is still cited in some credulous circles. However, an FDA report called aspartame, “one of the most thoroughly tested and studied food additives the agency has ever approved.” Indeed, metadata of hundreds of peer-reviewed studies done by private industry and government agencies showed the sweetener to be safe in normal doses. The one exception is that it should be avoided by those with the genetic disorder phenylketonuria. Aspartame’s beginnings are similar to that of LSD, minus the crazy visions and sounds. Chemist James Schlatter was working to create an anti-ulcer drug when he licked his finger, unaware it had aspartame on it, and he noticed the sweetness. Had it not been for this accident, aspartame would have been an obscure gastrointestinal medication, as opposed to one of the world’s most ubiquitous substances. It also would not be part of Internet lore, specifically, the chain mail written by someone using the pseudonym Nancy Markle. The letter linked aspartame to Gulf War Syndrome, lupus, Multiple Sclerosis, and birth defects. Much of the e-mail consisted of silly correlation-causation errors, such pointing out that a significant percentage of lupus sufferers were diet soda drinkers, without offering evidence of a direct connection. One isolated accuracy was the claim that aspartame ingestion produces methanol and formaldehyde. However, the author omitted just how little of these are made. The amounts are less than what is found in citrus fruit, which some anti-aspartame crusaders recommend being 75 percent of a person’s detox diet. Like anything else, it’s the dose that matters. Two Tylenol will ease your backache, while two bottles will permanently relieve it and all other pains. 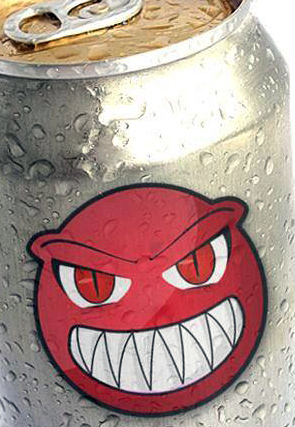 A soda drinker would need to down 20 Diet Cokes a day to do damage. The conspiracy allegations centered mainly on suggestions of an improper relationship between regulators and industry executives. Two persons, Samuel Skinner and Arthur Hayes, had worked for both government regulators and (indirectly) with G.D. Searle, an aspartame producer. An extensive review by the Government Accountability Office determined there was no impropriety and that the relationships did not impact the studies’ results. Depending on one’s viewpoint, this either ended the controversy or expanded the conspiracy, which now included the GAO. For those that embrace the latter interpretation, Janet Starr Hull hosts a website where persons with scary sweetener stories can relate their experiences to others in a perpetual communal reinforcement party. Hull also issues dire warnings about adverse reactions and side effects from aspartame that seem to include almost every disease or malady ever identified. The absurdly exhaustive list is here. Additionally, she advises asking people drinking diet soda if they have any of the symptoms Hull had outlined. So next time you see a strange woman downing Tab, ask her if she has been experiencing irritability or severe PMS. I’ll bet the reaction will indeed be hostility, one of the items on the list. This entry was posted in Con-spiracies, Mass hysteria, Pseudoscience. Bookmark the permalink.